Real it was, and real they are. 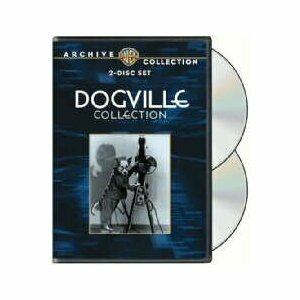 While film preservationists may mourn the miles and miles of celluloid treasures lost over the decades, at least the Dogville series has survived. Whether that survival signifies good or evil depends upon individual taste (or, perhaps, lack of it). I, for one, love them for any number of reasons, including their role in cinema history, the crazy productions, and their sheer silliness. Oh, and the dogs! Produced at the dawn of the sound era, the Dogville films, through their very existence, reflect the insatiable appetite filmgoers at the time had for talking pictures. 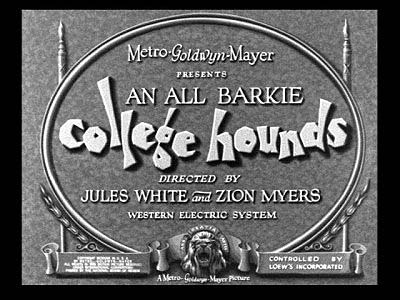 That’s clear enough from the films’ tagline, “All Barkies” (a play on the era’s ubiquitous “All Talkie” promotional slogan). In 1929, MGM hired two second-string directors, Jules White (who now lives in infamy as the producer and director of the scores of Three Stooges movies) and Zion Myers to turn this oddball conception into a reality. 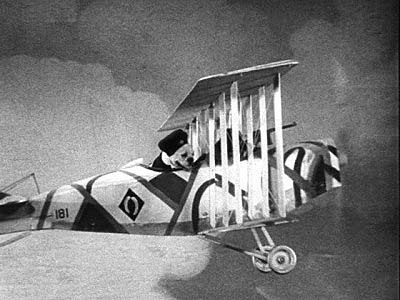 White and Myers usually shared directorial credits and provided many of the voices for the canine stars. 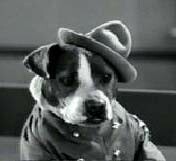 Ironically, these shorts are, in one way, actually more watchable than many of the features of the day as the “actors” voices, and all other sounds, were dubbed, freeing the four-footed thespians from the movement restrictions that sound enforced on their two-legged contemporaries. They fly airplanes, drive cars, fight wars, go to nightclubs…all with a freedom of movement human actors on film had to wait years for. There are those who might demur at the viewing of these shorts, and that’s understandable. 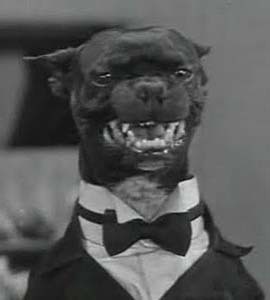 Dogs don’t usually walk upright and wear waistcoats and evening gowns. 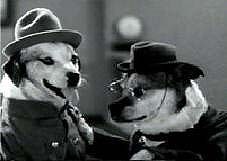 Clearly, there are times when wires and harnesses are involved in order to achieve the onscreen antics of these pups. 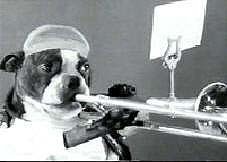 Nevertheless, I think it’s highly doubtful that the canines are mistreated. 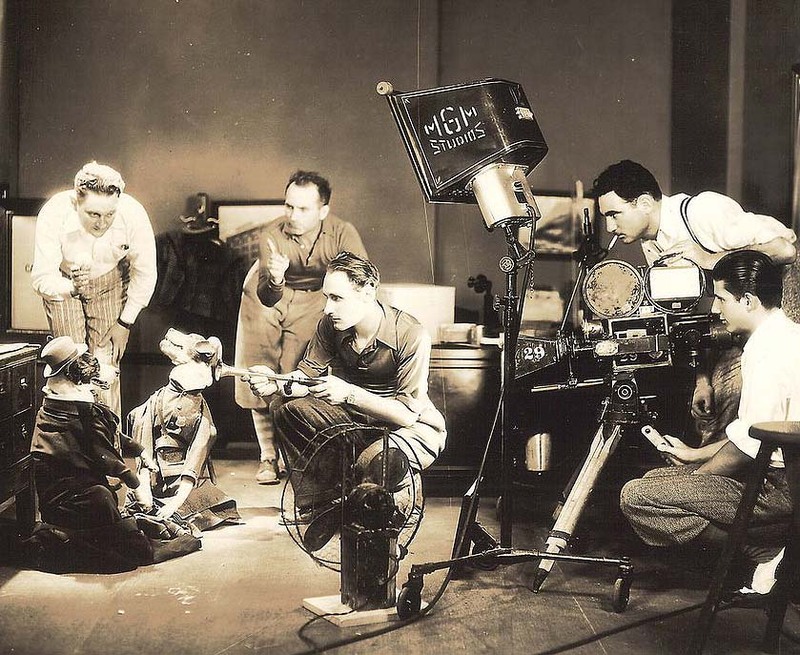 After all, they were obviously trained animals, and were therefore valuable assets both to their owners and the filmmakers. Their mistreatment at the hands of White and Myers or anyone on the crew would have been senseless. 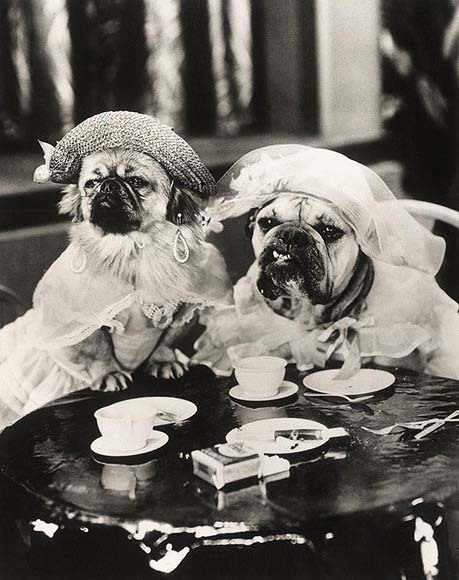 These pups were their bread and butter–or kibbles and bits, as it were. Perhaps that’s a naive assumption to make, but I’m willing to make it. 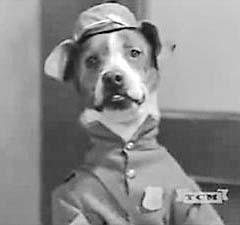 I’ve been a dog lover all my life, and have seen scores of hounds who have, by virtue of negligent ownership or lack of any ownership at all, suffered far more than any of the celluloid pooches in this series could have. 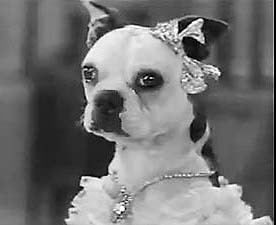 In addition, there is currently at least one Great Dane out there who is forced to live with the indignity of being featured in this summer’s atrocious Marmaduke. Now that’s a form of animal cruelty that no one can justify. This entry was posted in Cult, Movie Reviews, Podcast companion piece by Nancy Louise Rutherford. Bookmark the permalink.